Mortgage Interest Rates vs APR: Which Is Correct? Question: I want to get a mortgage. Interest rates I understand but what is an APR and why is it higher than the interest rate? Answer: When you buy something it makes sense to know what it costs. Everyone understands that the interest rate is simply the rent we pay for the use of mortgage money. The APR (Annual Percentage Rate) is something different and – curiously – a number that you want to know and also a number which is wrong in virtually every case. The Harrisons want to buy a $300,000 house. They can put down 10 percent. The mortgage will be for 90 percent of the purchase price or $270,000. At 4.75 percent interest over 30 years the cost for principal and interest will be $1,408.45. A few days after applying for their mortgage the Harrisons get an official Loan Estimate (LE) form from their lender. On page three it says the interest rate is 4.75 percent but on page three the APR is listed at 4.847%. So which is it? Is the loan priced at 4.75 percent or 4.847 percent? The answer is that both numbers are correct in some sense and yet one is likely to be very wrong. The interest rate – 4.75 percent – is right. The number for the APR might be correct in theory but in practice it’s likely to be off-the-mark. The interest rate tells us the cost to rent money based on the outstanding amount of debt. The APR says, wait a minute, to get this loan the borrower had to pay some upfront loan charges, $3,000 in this example. Those upfront charges are a real cost. The APR attempts to show how they impact the loan’s pricing. In this example there was a $270,000 mortgage but the borrowers paid $3,000 up-front for lender fees. In effect the loan was only for $267,000. If we have a $267,000 mortgage and pay $1,408.45 per month then the interest rate is 4.847 percent over 30 years. If you look at how the APR was calculated you can see something very interesting. We calculated the cost of the $3,000 in up-front charges over 30 years. Are you going to have your mortgage for 30 years? Not likely. According to the National Association of Realtors the typical owner stays in their property for 10 years. ATTOM Data Solutions says owners now stay at their properties for an average of 8.19 years. What do these two figures have in common? They’re a lot less than 30 years. Not only do mortgage end when people sell, that’s also true when homeowners refinance. If we have a $270,000 mortgage with $3,000 in upfront costs the effective interest cost goes up as the loan term goes down. While the interest rate is 4.75 percent the APR rises to 4.992 percent if the loan is paid off in ten years and 5.047 percent if the financing is repaid in 8 years. While the APR is likely to be wrong for virtually all mortgage borrowers it does have value. If you look at two $300,000 mortgages at 4.75 percent and one has a higher APR it means that loan has more up-front charges and costs. 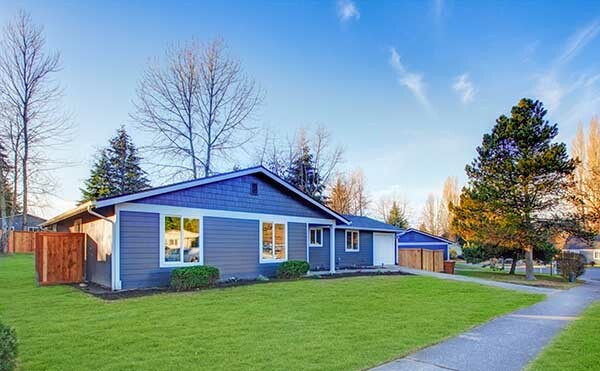 If you expect to own the property for a relatively short time – say five to ten years – you might want to consider a 7-year adjustable-rate mortgage. Also, if you expect to be a short-term owner then it may be cheaper to get a higher fixed-rate and smaller up-front costs. If you expect to be a long-term owner then a lower rate and more up-front costs may work best for you. Speak with a mortgage loan officer or a fee-only financial planner to run the numbers. Click to get connected to multiple lenders.